WBA Welterweight Champion, Keith “One Time” Thurman, 27-0, 22 KO’s, loves to fight and he boxes when he needs to. WBC Champion Welterweight Champion, Danny “Swift” Garcia, 33-0, 19 KO’s, boxes smart and can fight when he needs to. Thurman may have more God given gifts while Garcia has done more to date to establish his reputation as one of the most intelligent fighters in boxing. They are both gifted and intelligent fighters who have consistently made it clear that they are capable of making the right adjustments and overcoming any adversity they may face, hence their undefeated records. Tonight they fight to show which is the future of the welterweight division. Fans need to stop worrying about Floyd Mayweather, who is retired, fighting UFC star Conor McGregor. Instead, they should appreciate how rare and exciting it is to see the two best fighters in their division while they are both in their prime and undefeated (and are actually competing against someone in their own sport) take each other on. Keith Thurman usually takes more chances and relies on his power and athletic ability when he can get away with it. He punches with bad intentions early and often and looks like he enjoys a brawl if and when he can get his opponent to oblige. 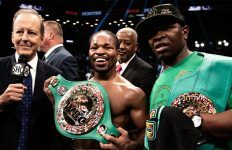 He also has the ability to show a plan B, and can box intelligently when he needs to, as he did to edge out Shawn Porter in a great fight. Due to the fact that Thurman fights with such confidence, he has been caught and hurt in fights, but he has a good chin and has always recovered and emerged victorious. Garcia is the slower starter but he has a unique ability to give his best performances in his biggest fights as the underdog. This may be his biggest fight to date and he is again an underdog. This ability to always rise to the occasion is huge in boxing and makes it impossible to ever count Garcia out no matter who he fights. While both are intelligent fighters, Garcia is naturally the more patient fighter, but when under pressure he is an excellent counter puncher with good balance and a solid chin. On paper this really is a 50-50 fight. Thurman is a slight favorite because “One Time” appears to be the bigger and more explosive man who is perceived as the bigger puncher. Garcia has deceptive power and is good at picking his spots, especially when under pressure. Garcia has been in similar situations before and it has always been the same….the more people have doubted him…the smarter he has fought and the more impressive his performances have been. They are both 28 years old and clearly in the prime of their respective careers. Thurman is 8 months younger. While Garcia is widely perceived as the more experienced fighter, both made their pro debut in 2007, Garcia’s came 8 days after Thurman’s. Both men have fought a good level of opposition and have shown a sincere and legitimate desire to fight the best and prove they are better. Both have been successful to date, but tonight……somebody’s 0 must go. 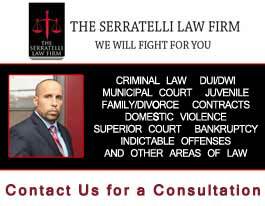 How the fight plays out depends on many factors including if either is able to hurt the other and how the fight plays out from there. Both have displayed a solid chin, excellent recuperative abilities and the ability to make adjustments. Garcia can be more subtle and crafty; he has a tendency to win close rounds, while Thurman is more explosive and can turn a round or the fight around with a few punches. 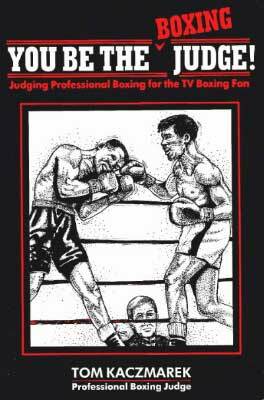 If the fight goes the distance there is a good chance the decision will be controversial. 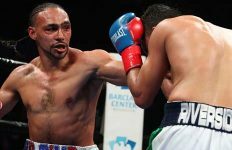 Brickcityboxing.com favors Keith Thurman to emerge victorious. 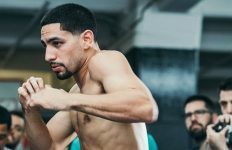 He is the more charismatic and explosive fighter who can become the face of boxing, but no one can sleep on Danny Garcia because better than any other talent he possesses, he knows how to win. This is the type of fight that you go in favoring Keith Thurman, but the more you think about it the harder it is to pick against Danny Garcia and that is exactly why it is such a great matchup. Both fighters are full of intangibles and outside of something crazy happening, the fighter who makes the right adjustments at the right times will win the fight.